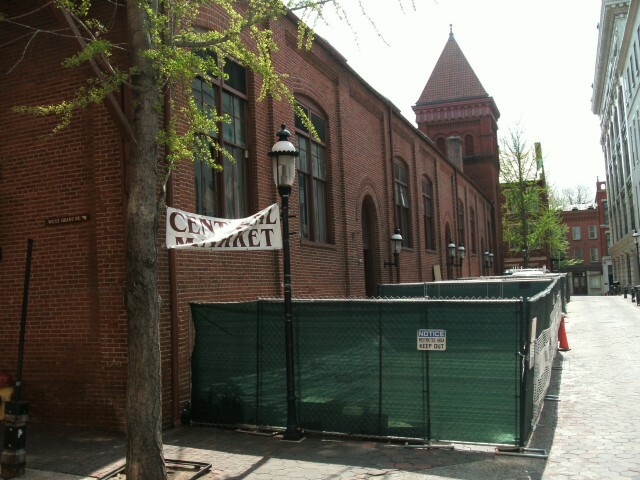 One of the country’s oldest farmers’ market is getting a tune-up. Lancaster Central Market, located in the heart of the city, has been more than just an occasional meeting place. Residents of the city and surrounding areas have been congregating in and around the red brick building on a weekly basis since 1889. For the past 121 years, the Market building hasn’t changed much and outwardly, it still won’t. However, the market will experience several changes in the small things. “Any changes will be in the details,” Market Manager (formerly known as Market Master) Michael Ervin said about the construction. 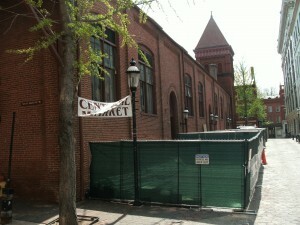 Central Market construction begins. Photo By Juan Montes. Improvements will include modifications to the windows, electrical system, mechanical system, plumbing system and the masonry. The market will be attempting to go “green” by installing 40 state-of-the-art, energy efficient light bulbs as compared to the 480 inefficient lights currently in use. “It’s good they can focus on the environment without losing their historical aura,” said Penn Manor junior and Central Market attendee Haley Blazer. The restrooms will also be improved, which comes as a relief to many market-goers. “The toilets are kind of disgusting, so cleaner toilets are necessary,” said sophomore Brendan Kincade. In total, the project will cost around $7 million and be finished sometime in March 2011. The Market is running on its normal schedule, with three stands taking a break for every two-week period. Ervin said Central Market has not lost any business. Yeah, those market standholders are really raking in the bucks! Energy efficiency versus status quo? I’d say they’re making a good decision. You realize the profits go to small, family-based businesses? Some organic produce farms? Better than going to a corporate mega-farm.